The Matriks Biotek SHIKARI® Infliximab-Remicade ELISA has been specially developed for the quantitative analysis of free Infliximab in serum and plasma samples. The use of Infliximab (Remicade) has been linked to the development of antibodies against the drug at various levels (in some cases to the point of neutralizing the treatment), possibly leading to severe complications. The SHIKARI® Q-ATI ELISA Kit provides a tool for easily monitoring anti-Infliximab levels and exploring ways of limiting problematic immunoresponses to this drug. 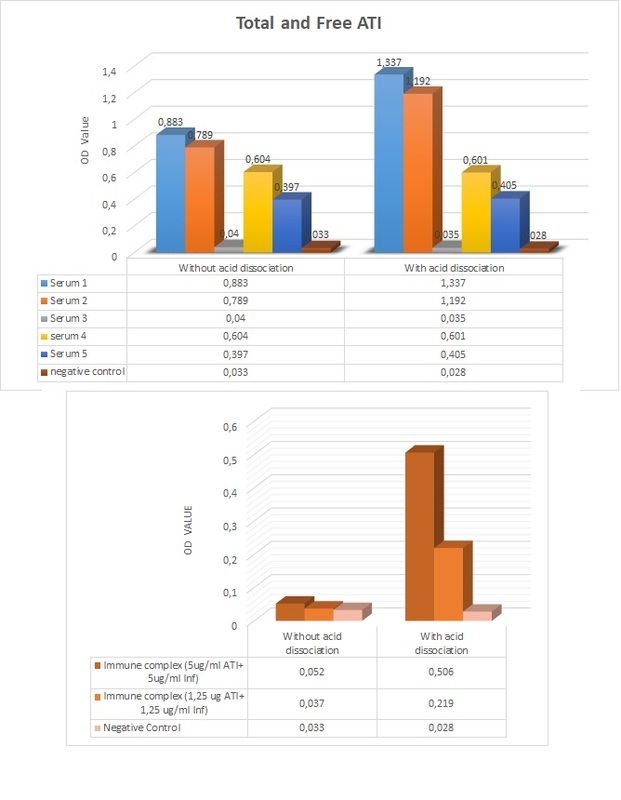 Enzyme immunoassay for the determination of specific antibodies to infliximab in human serum and plasma with confirmation. Enzyme immunoassay for the semi-quantitative determination (screening) of total and free antibodies to infliximab in serum and plasma.